The final table is set in the 2017 World Poker Tour L.A. Poker Classic $10,000 no-limit hold’em main event. From a field of 521 players that turned out to the Commerce Hotel & Casino now only six remain to battle it out for the title, the trophy and the first-place prize of $1,001,110. 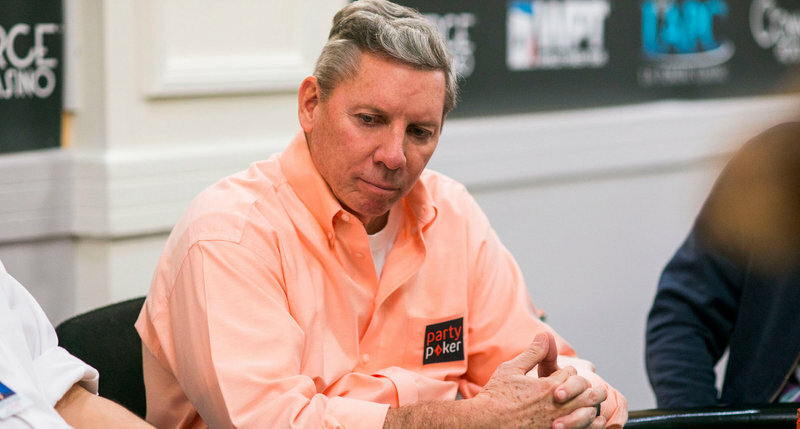 The final six is comprised of several tough competitors, but the name that stands out is none other than Poker Hall of Famer and the WPT’s own television commentator Mike Sexton. Sexton won his first title on the tour he has been the voice of for 15 seasons last fall, taking down the WPT Montreal main event. Now just a few months later he is already back at a final table with a shot to win his second WPT title. Sexton will enter the final table as the second shortest stack with 1,165,000 for 39 big blinds with betting limits of 15,000 – 30,000 and an ante of 5,000. The Wolrd Series of Poker bracelet winner will me joined by several tough pros, including fellow WSOP title winners Jesse Martin (2,540,000) and Simeon Naydenov (2,860,000). The overwhelming chip leader heading into the final day is Daniel Strelitz with 6,485,000 for 2016 big blinds. The California-based poker pro already has over $1.6 million in lifetime live tournament earnings, but surely has his eyes on adding his first seven-figure score to his resume in this event. He will begin the final table with more than two times the chips of the next largest stack, belonging to Naydenov. The final table will resume at 4 pm local time, with hand-for-hand live updates of the televised final table being posted on the World Poker Tour’s website. Photo courtesy of World Poker Tour / Joe Giron.